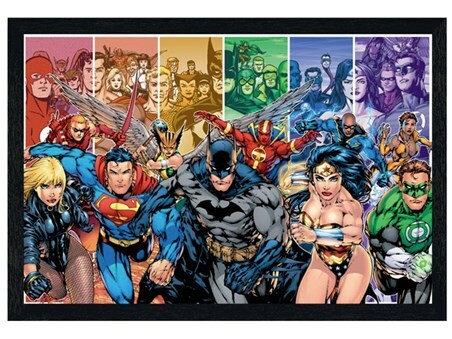 DC Comic Large Canvas Print: "All the super heroes unite against evil". 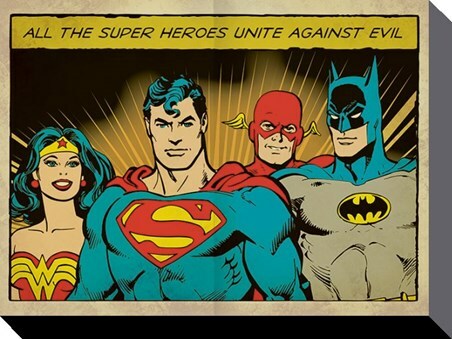 Wonder Woman, Superman, The Flash and Batman are all standing grouped together, ready to save the world from evil forces once again! They are a force to be reckoned with! 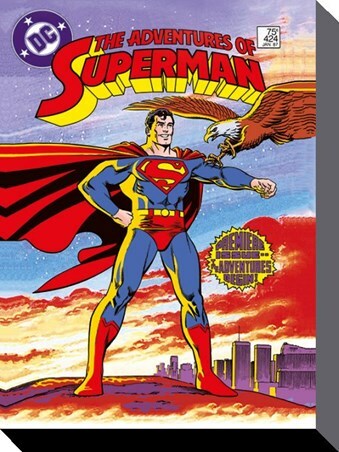 The retro style of the canvas looks fantastic and captures these timeless heroes in a stunning effect. 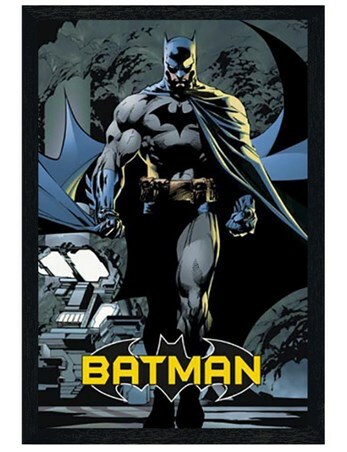 If you are an admirer of DC Comics, then this canvas print is sure to make an epic feature in your home. Hang this on your wall and let these ultimate guardians watch over you and keep you safe from harm. 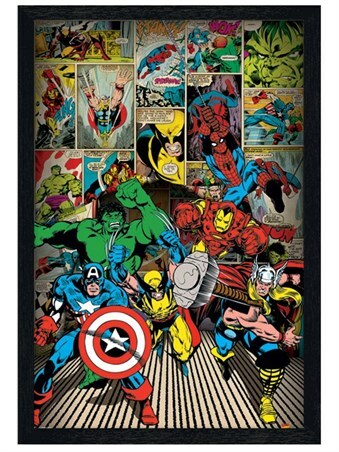 High quality, framed Superheroes Unite!, DC Comics large canvas print with a bespoke frame by our custom framing service.